Thanks to the TV show “The Gifted” mid season finale, Hicollector recommends collectors to pickup New X-men #118. This is a modern age issue and is not too difficult to find. 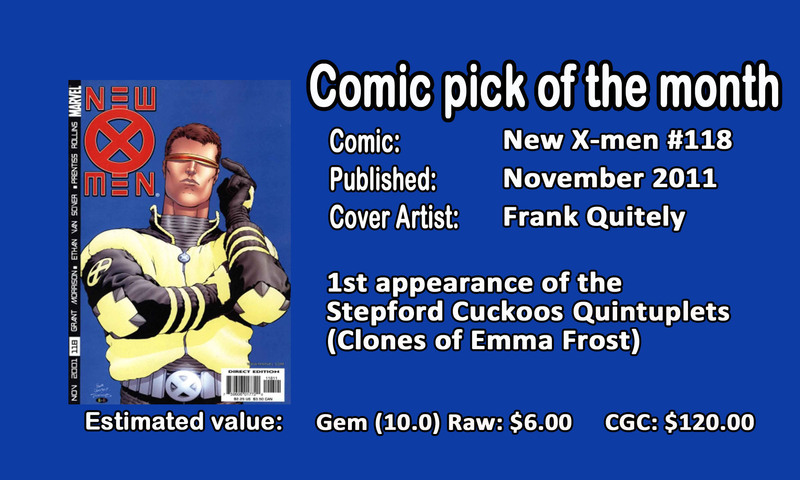 As fans of the X-men are aware, this is the first appearance of the Stepford Cuckoos quintuplets (5 twins) who are revealed to be clones of Emma Frost. We recommend you pick this Modern age copy starting at a rating of 9.0.